December 10th, 2018 marks the 50th anniversary of the death of Thomas Merton. Questions linger. Was it a heart attack, accident, or murder? Investigative Reporter, Hugh Turley, makes the case that the conclusion that Thomas Merton died by accident cannot possibly be true. 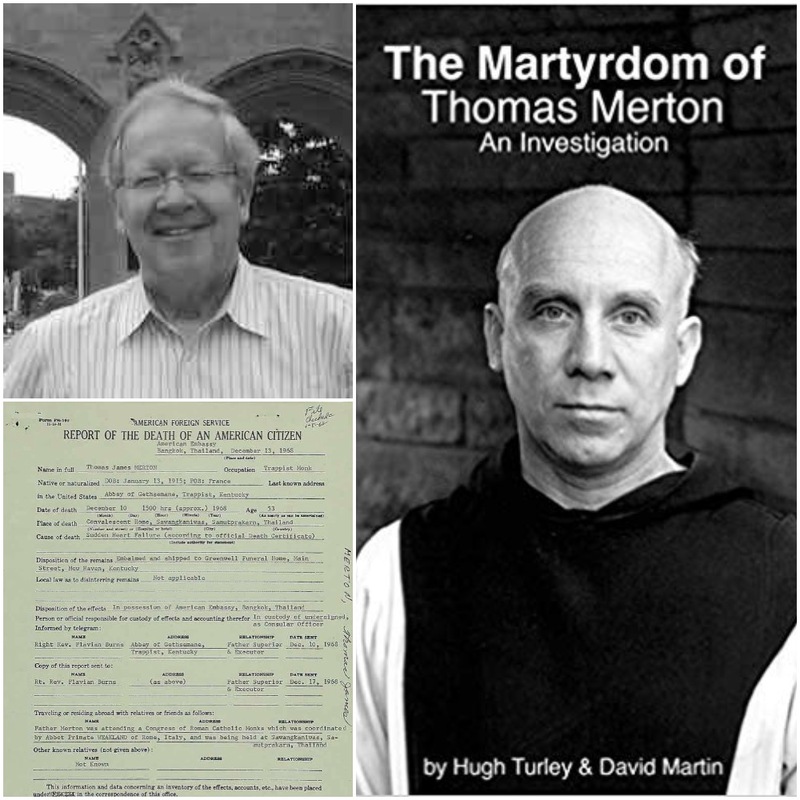 Hugh Turley and David Martin are co-authors of the 2018 book, The Martyrdom of Thomas Merton, An Investigation. John Shuck speaks live with Hugh Turley on Beloved Community about the death of Thomas Merton, who was an anti-war author and spiritual leader. He died mysteriously on December 10th, 1968 in Thailand. “Merton was in apparent good health and at the height of his productive powers when he died suddenly and mysteriously while attending a monastic conference, on December 10th, 1968, near Bangkok, Thailand. He was 53 years old. Up to now, no one has examined the circumstances of his death systematically, critically, and what is most important honestly. That is our purpose here.” p. 2. Hugh Turley, as a volunteer columnist for the Hyattsville Life and Times was winner of the National Newspaper Association award for best serious column, small circulation, non-daily division. Book’s website – The Martyrdom of Thomas Merton. KBOO [Friday July 13th 9 am] Catch The Beloved Community every second Friday from 9-10 am PACIFIC on 90.7 fm in Portland, 104.3 fm in Corvallis, 91.9 fm in Hood River and world-wide via livestream.